Located in the heart of Manchester city centre, Bridgewater Hall is a stunning concert venue playing host to over 250 performances a year. 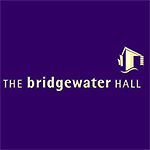 Do you work at Bridgewater Hall? What did you think of Bridgewater Hall?